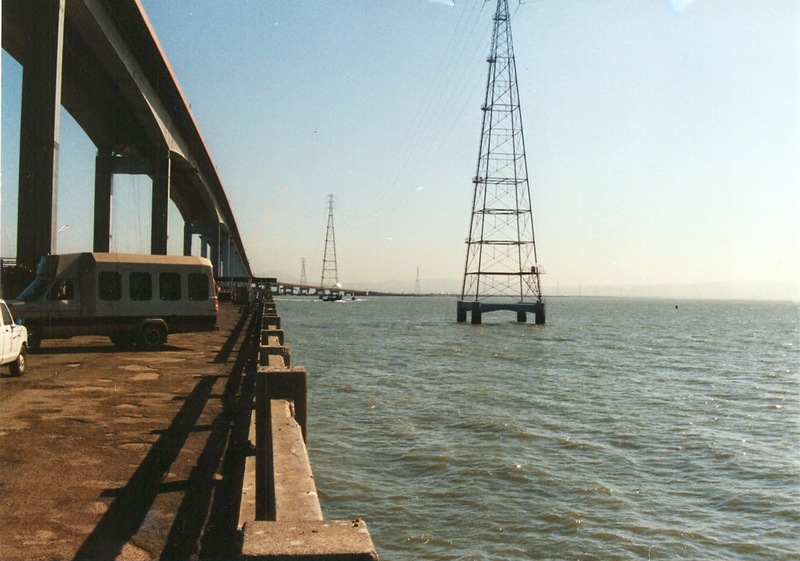 The San Mateo- Hayward Bridge (35 0054) includes a 37 span steel orthotropic structure on the west end of the Bay and a long concrete trestle structure on the east end of the Bay. The whole bridge got a seismic retrofit in the late 1990s and these photos are from when I went out to see the work on the steel portion. Concrete columns were wrapped in steel casings and big 'dog bones' with more piles were wrapped around the foundations. 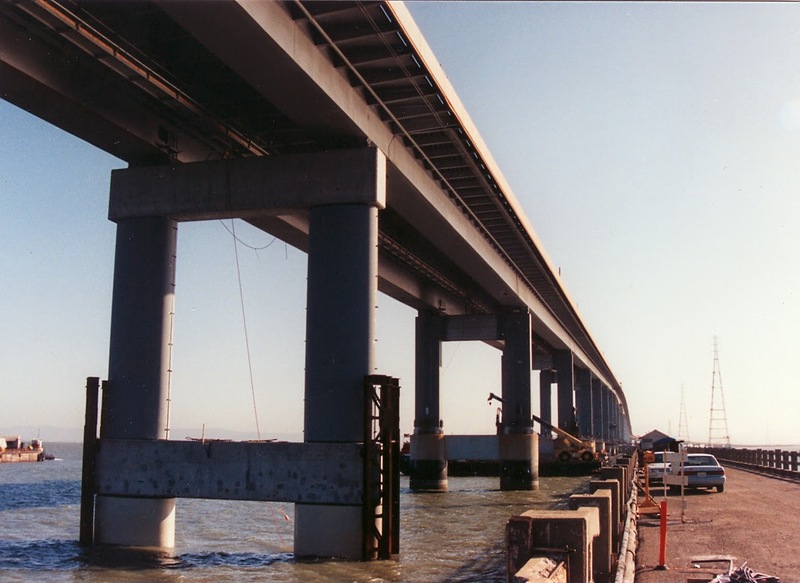 The concrete trestle was also retrofit and it was widened to six lanes in 2003 (to match the west half of the bridge). Alameda County, California Bridges: San Mateo-Hayward Bridge across San Francisco Bay by Mark Yashinsky is licensed under a Creative Commons Attribution-NonCommercial-NoDerivatives 4.0 International License.